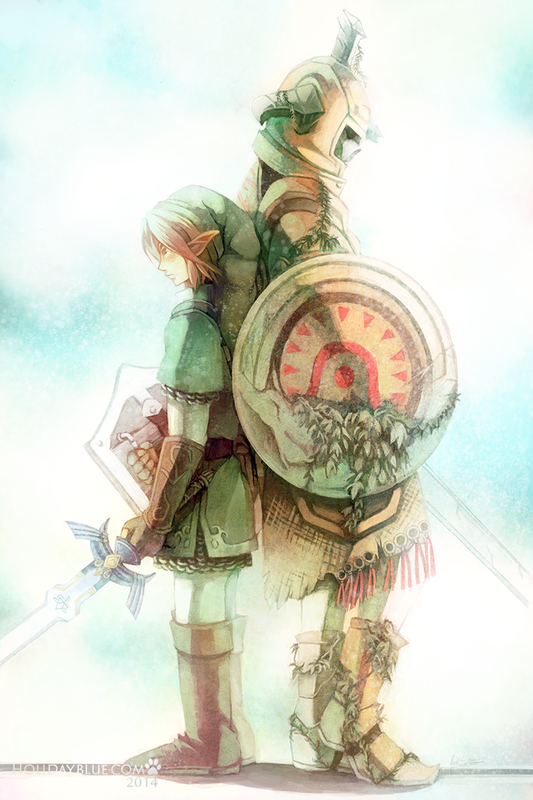 The Legend of Zelda: Twilight Princess is currently my favorite Zelda game of all time. It had great dungeons such as Arbiter’s Grounds and Lakebed Temple, great items such as the Clawshots and Spinner, and great characters, ranging from Midna to the Ordon Children to Zant. 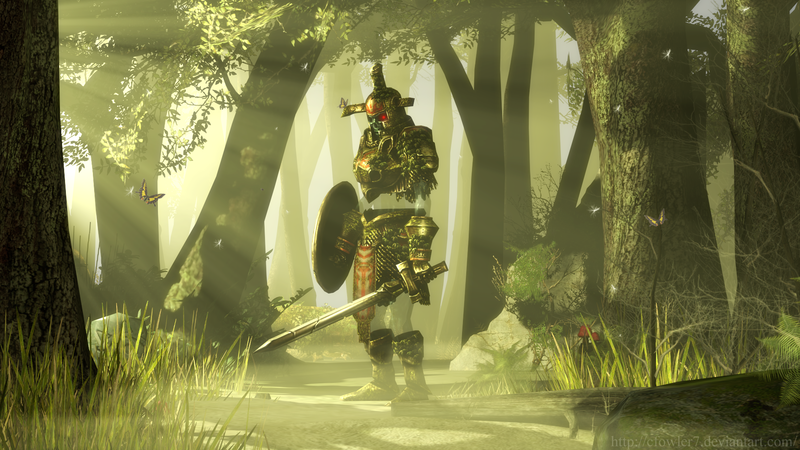 However, one of the strangest characters in Twilight Princess is the Hero’s Shade, a famed swordsman of Hyrule who was revealed in the Hyrule Historia to be the same Link from Ocarina of Time and Majora’s Mask in the Child Timeline. 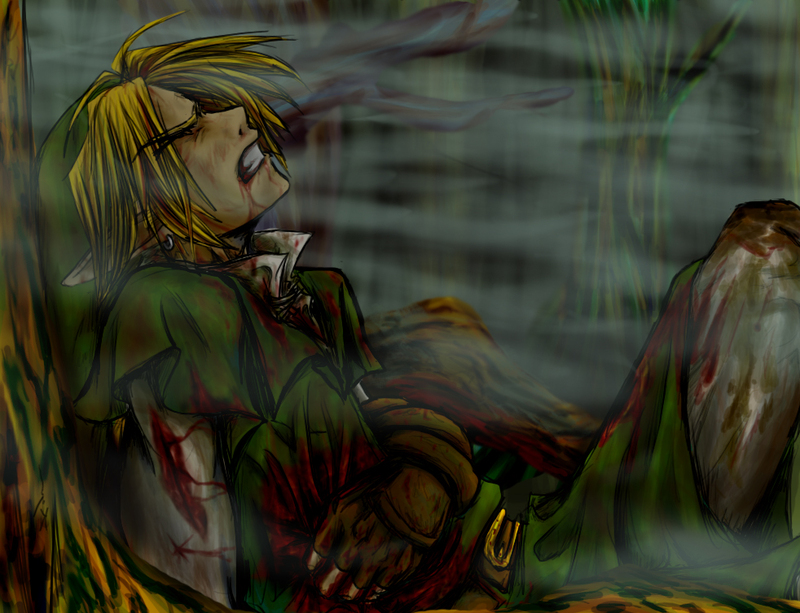 According to the Hyrule Historia, he died lamenting the fact that he would never be remembered as the Hero of Time. As such, he remained as a spirit, only able to ease his regrets once he has finished teaching the Link of Twilight Princess all his skills. His regrets would be purged as he would be remembered in those ancient techniques. In concept, the Hero’s Shade was an interesting way to learn skills for Link to use. 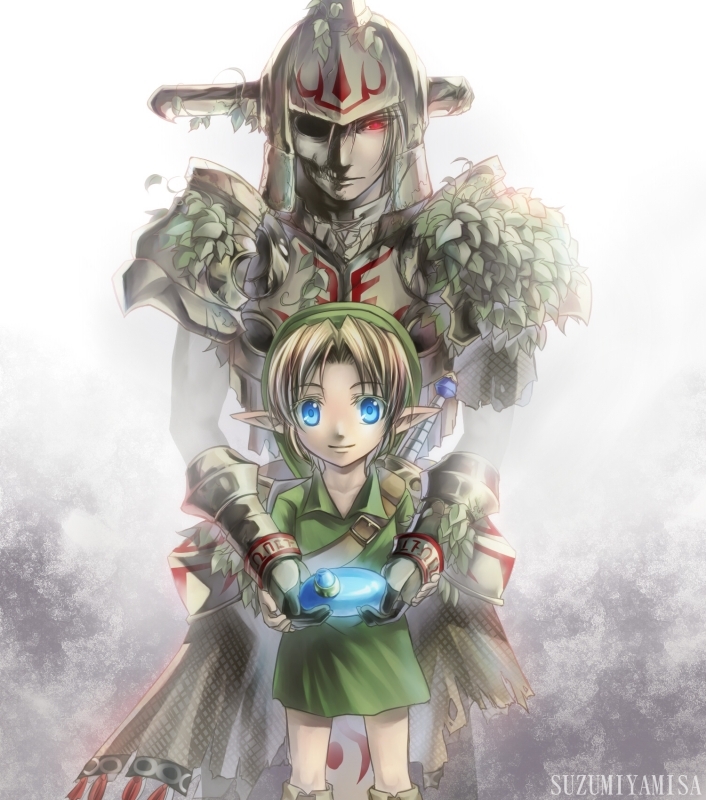 Though the nature of the character himself brings up an interesting question: What if there were other Links that died with regrets to become their own respective Hero’s Shades? This idea leads to an interesting new take on the Hero’s Shade that I will call the “Fallen Link”. This Hero’s Shade comes from a Link who failed to defeat Ganon (or whoever the villain was) and died, only for the villain to fully take over Hyrule for many years before the next reincarnation of Link is born into an era of darkness. This Hero’s Shade would have died regretting his failure and would express doubt toward the new reincarnation. Rather than just be a wandering spirit, he would be a constant reminder just how powerful the villain is as well as what can possibly happen to the current Link should he fail to defeat that villain. This version of the Hero’s Shade would also constantly test Link at different intervals in his quest, with his doubt slowly eased as the current Link gets more and more powerful. For an example on how this could work, let’s take a look at A Link to the Past — the first game in the Downfall Timeline after the Link of Ocarina of Time died to Ganondorf in their final fight — and implement this version of the Hero’s Shade. In this instance, the Shade is Adult Link from Ocarina of Time. Once the reborn hero defeats the Eastern Palace, the first dungeon of the game, the Hero’s Shade would appear, acknowledging that this Link is the next reincarnation but doubting that he could possibly defeat Ganon. He would continue to appear after each dungeon, each time testing his successor. Once Link finds the Master Sword, the Hero’s Shade would again appear and challenge Link to see if he is worthy of wielding the Master Sword. He would then resurface after Link enters the Dark World for the first time and admit that he was Link’s previous reincarnation, the one who failed to kill Ganondorf, noting that Ganon is now much stronger than he was before and reminding Link that he would need more power himself before he could hope to take on Ganon. 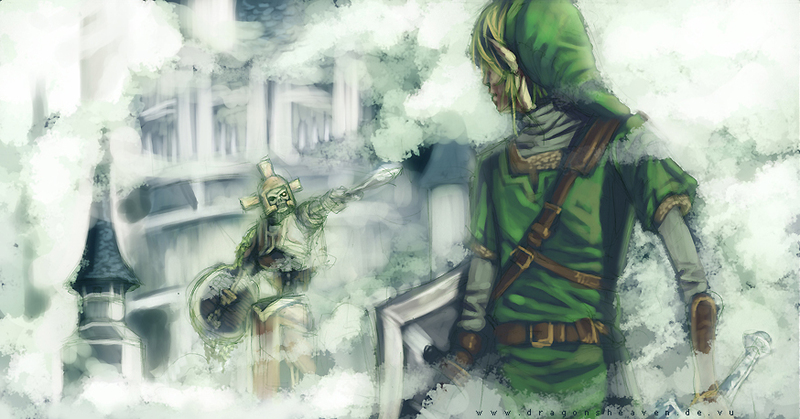 He would continually test Link after each dungeon at this point, training him and teaching him new techniques, such as an upgraded spin attack or expanding Link’s usage of items. He would also warm up at each test, with each trial reinforcing his hope that Link does have the strength and power to defeat Ganon. Finally, before Link enters Ganon’s Tower, the final dungeon of the game, the Hero’s Shade would test Link one final time, making sure the hero knows all the different skills he’s been taught been thus far. Once the test ends and Link comes out as the winner, the Hero’s Shade would be content, finally admitting that Link is truly ready to take on Ganon and naming him the Hero of Legend before fading away, with his regrets eased. Personally, I think this would be a great way to bring back the Hero’s Shade, as his role would be expanded beyond what we saw in Twilight Princess. He would become a constant reminder of the villain’s power and of what’s at stake. Granted, we’re told that we have powerful villains in each game, but it’s rare that we actually see the effects of their power. In fact, the best examples of a villain’s power being shown in game would be Ocarina of Time‘s Adult era, where the aftereffects of Ganondorf taking over Hyrule are felt and seen everywhere in the game. With the most recent Zelda games focusing a lot on story with more powerful villains, implementing the Hero’s Shade could help reinforce their perceived power, strengthening both the world and the characters. Overall, the Hero’s Shade would be a very interesting character to bring back to the Zelda series and implement in future games, expanding upon the impacts of the heroes and the villains. But what do you guys think? 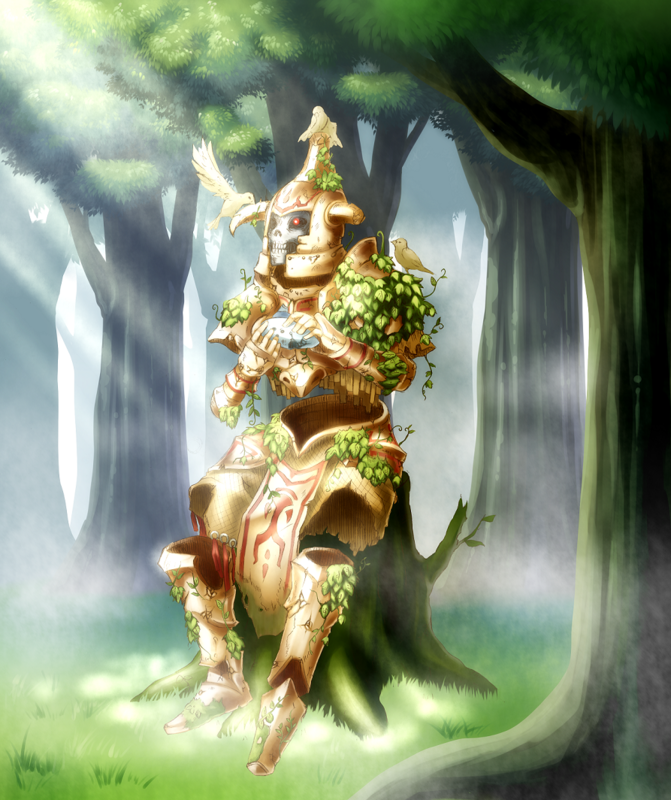 Do you think the Hero’s Shade should return in such a role or just return in general? Let us know in the comments below! Jarrod Raine is an Original Content Editor and News Writer for Zelda Informer. He also really likes the idea behind the Hero’s Shade. If you disagree or agree, let him know on his Twitch and Twitter!